Some say that the main selling point is the all star voice acting cast, however Tokyo Babel‘s writing is what sold me on it. There was never a wasted actor who only had a few lines because their character was irrelevant. Sometimes the only thing I feel the characters are lacking are their noses in certain poses and CG graphics. 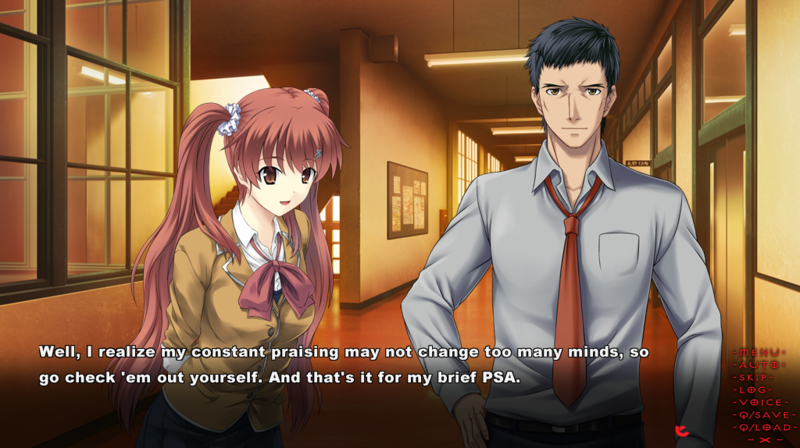 Characters that show up in just one route are fleshed out and at times its hard to tell that major side characters aren’t even considered main characters. 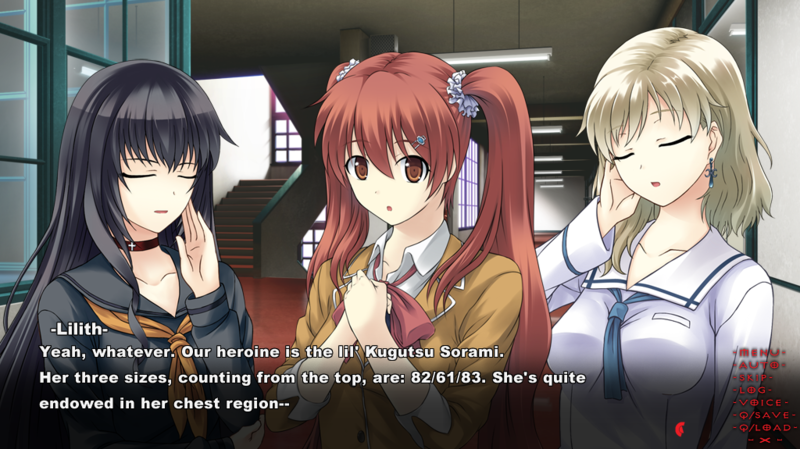 Even now I can’t decide my favorite character between the heroine Kugutsu Sorami or the side character Camael. Itou Kanae is a master at bringing Sorami to life with her perfectly delivered lines to match with her character’s perky personality. Sorami starts as the opening point of view and as I continued to learn more about her past that introduction I fell in love. She isn’t afraid of showing her feelings or standing up to the more powerful characters such as the leader of the angels, Camael. The mighty angel commander is amazing, but explaining why I find Camael so great would require endgame spoilers, so I’ll leave it a secret for now! As for my least favorite, and a lot of people would brand me a heretic for this, Lilith’s personality is great but she’s my least favorite girl because I can’t stand Sawashiro Miyuki’s voice for long periods of time. Voice actors aside, the story of this game is nothing to scoff at, so if you like a fantasy game with top quality voice actors, I recommend this! 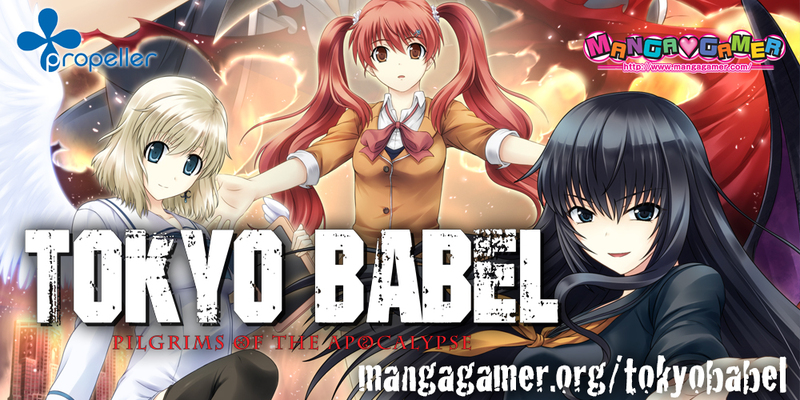 Pick up Tokyo Babel right now on MangaGamer.com or Steam! Is the game worth getting?